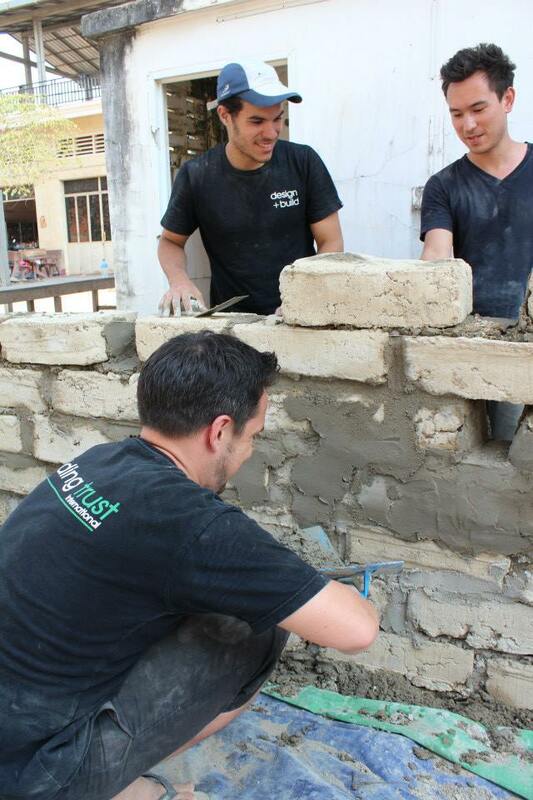 During February Building Trust International hosted a hands on participatory workshop where a group of international volunteers gained experience in sustainable building techniques and understood more about humanitarian design while building a worthwhile project that had a huge benefit to the local community. From 8th – 22nd February the workshop was located at Kouk Khleang Youth Center The youth center is be operated by two Cambodian organizations Cambodian Volunteers for Society (CVS) and Khmer Kampuchea Krom for Human Rights and Development Association (KKKHRDA). 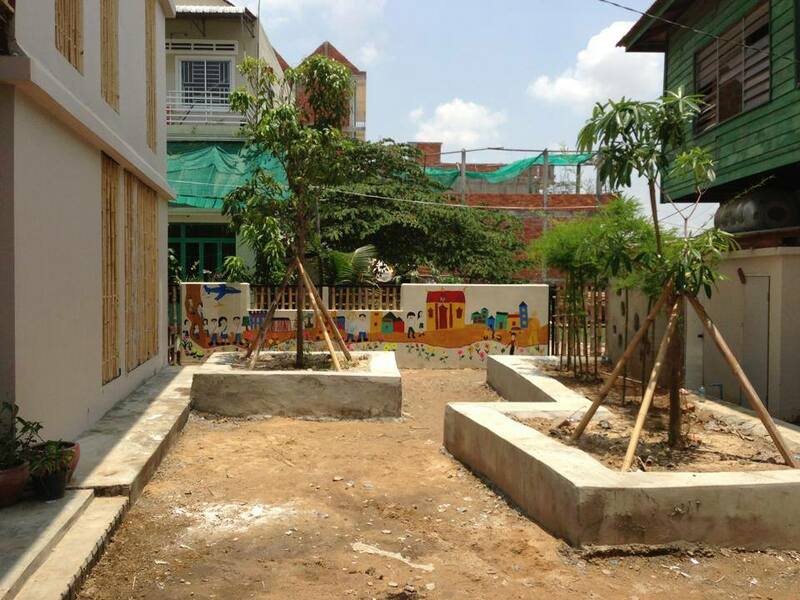 Building Trust worked with the local NGOs, local community, international volunteers and Komitu Architects to provide landscaping, a garden and fence for the center using natural sustainable materials. 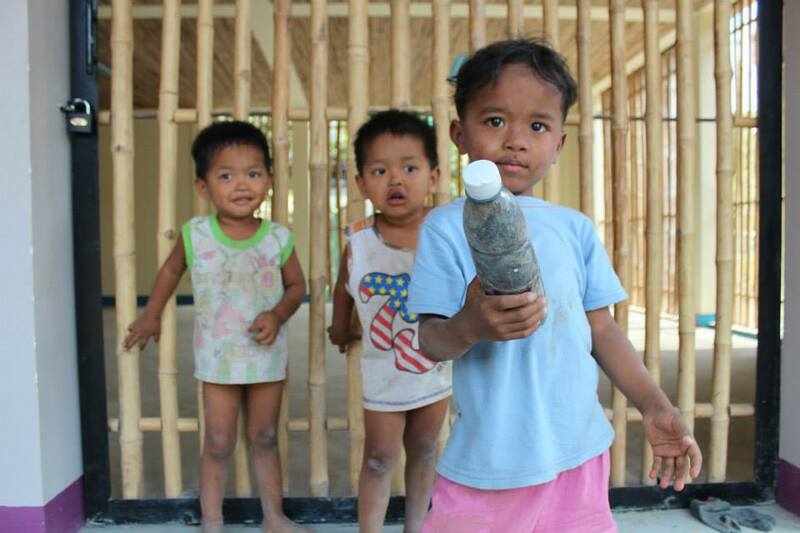 The first task of the workshop was to educate the local community about recycling. 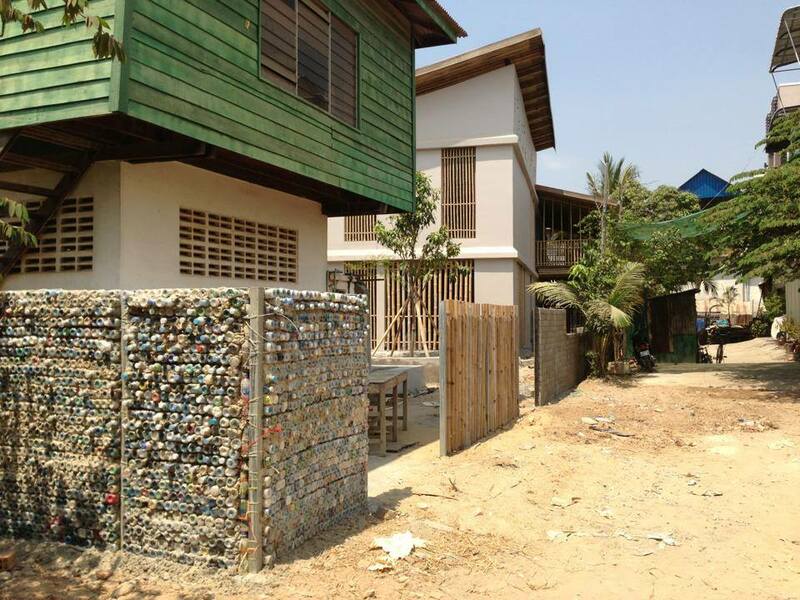 Inari from Komitu architects offered the community a small cash return for collecting and returning plastic bottles filled with waste plastic. These bottles would then be used to create some of the external fence walls to the site. 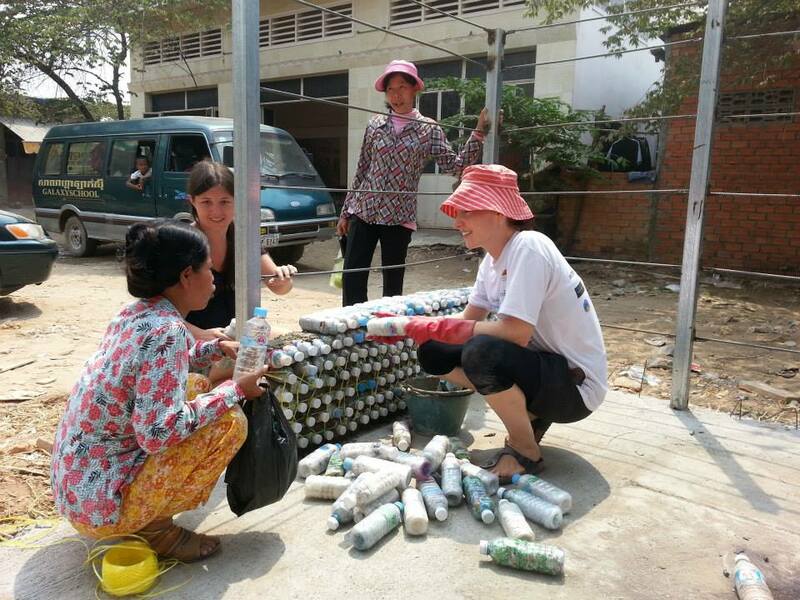 BTi Team talk through how to make a plastic bottle wall with the local community and advise how they can be used just like bricks! 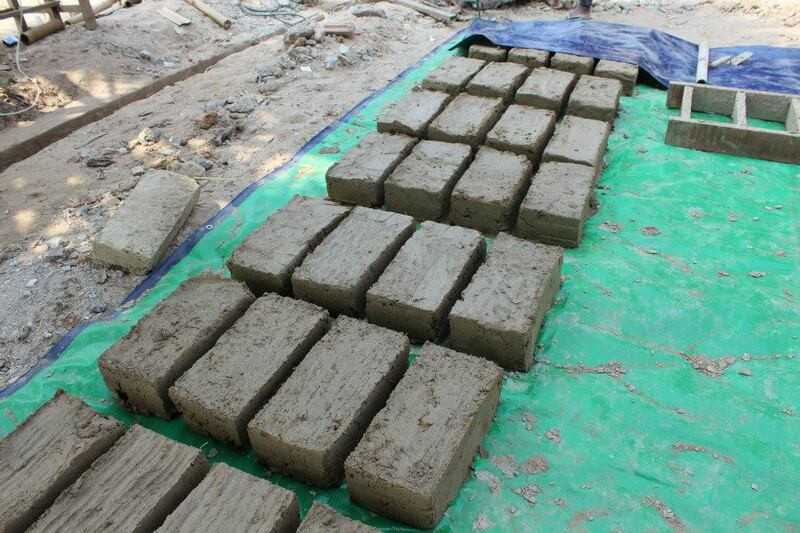 Our workshop team set to work making adobe bricks to create a wall within the garden of the site. 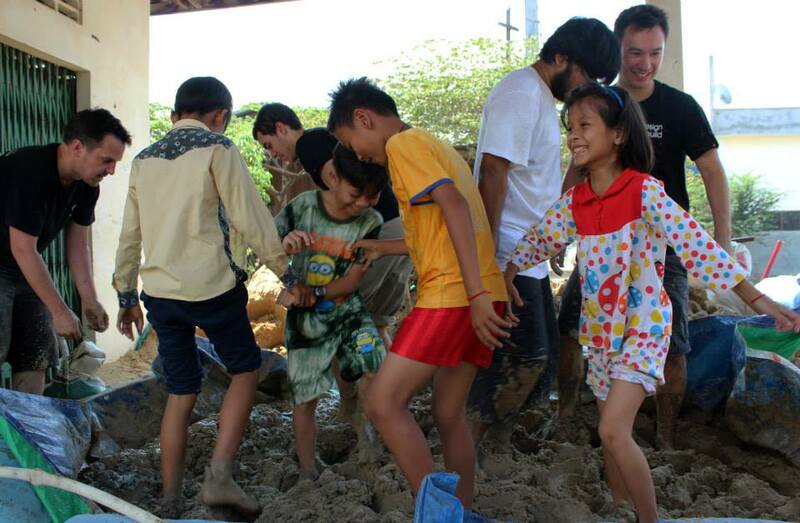 The local community including local children helped out on site to mix the adobe for the adobe bricks. 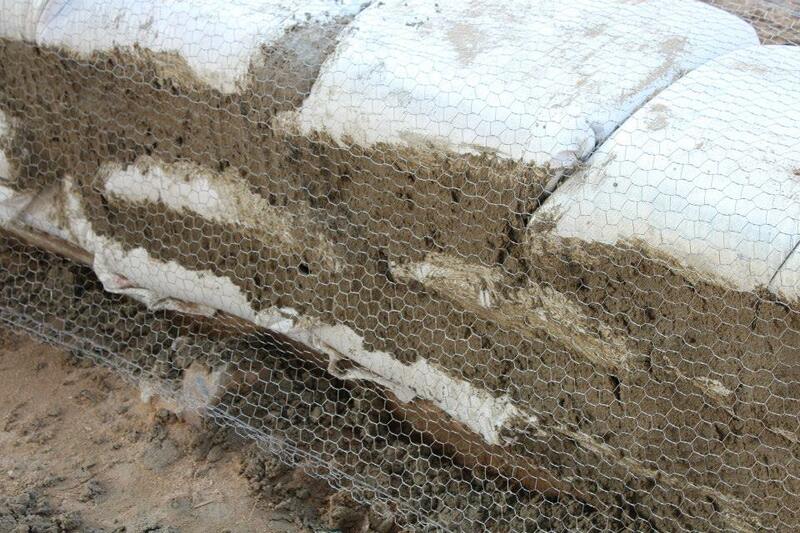 Another sustainable building technique taught during the workshop was to create walls from earthbags filled from waste sand found on the site. The workshop was a great success! We look forward to sharing photos of the garden in full bloom later in the year!